Dennis Weaver from Findlay Ohio is the proud owner of a very special C3. 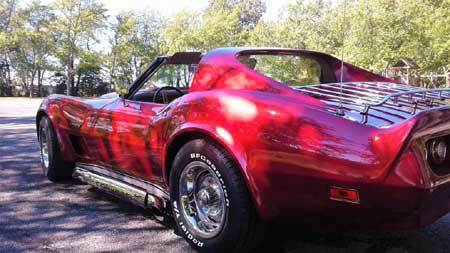 The car is painted in a spectacular hue of ruby red. The color also prompted Dennis to name his pride and jot "Ruby". 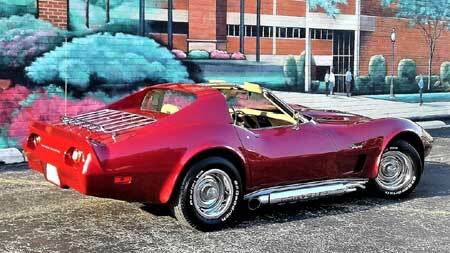 This C3 is a 1974 number matching L82 4 speed. Ruby has been in Dennis heart for for over 50 years but only made its way into his garage three years ago. The previous owner of thew C3 did much of the ground work, but Dennis has spent the last three years bringing "Ruby" to her current finish level. 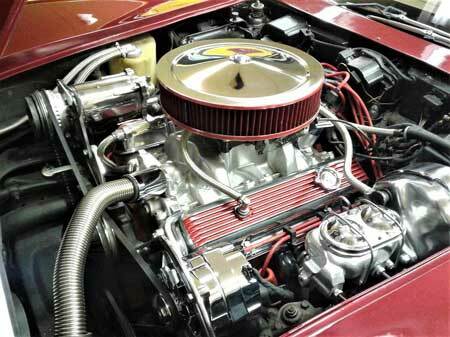 Dennis started by wet sanding the entire car, and had polishing most of the engine bay. He removed and detailed the original interior. The stainless side pipes and headers have been removed and hand polished. Dennis keeps himself busy during retirement by spending countless hours working on "Ruby". He tells us that working on the car passes the time during the dreary winter season. 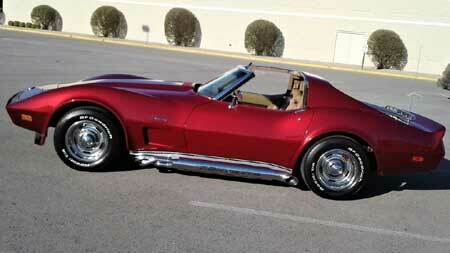 Dennis is a member of a local Corvette club and has thus far only participated in shows in his area. His plans include trailering the car to some national events around the country.